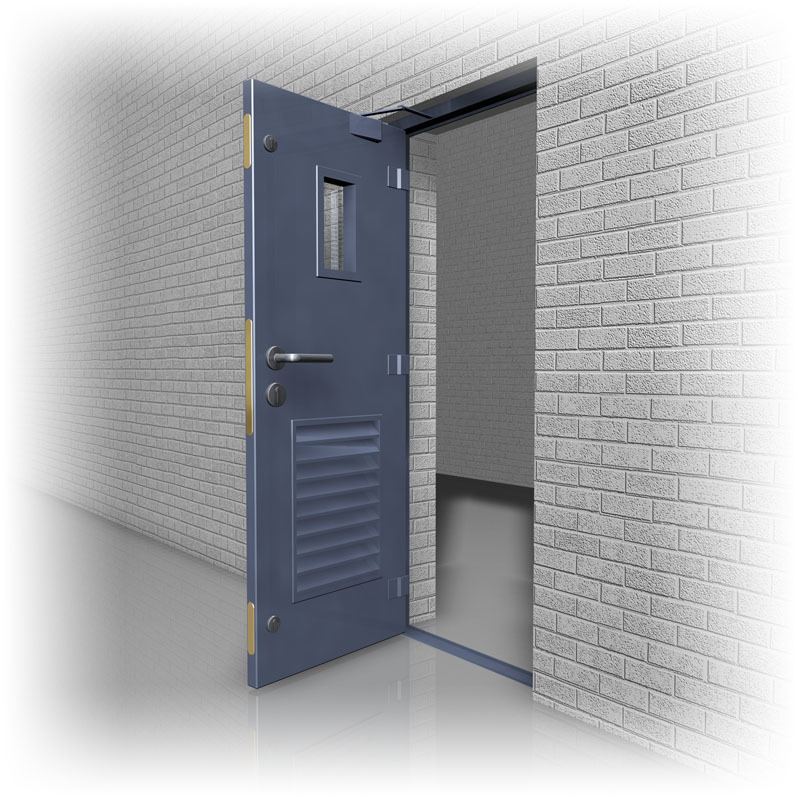 Providing high security is the primary function of a Mainstay Security Steel Door. The variety of locking devices and hardware which can be fitted to the door, ensure that it excels in this area. Sashlock and Deadlock locking systems are available in 5-lever, or Euro/Oval cylinder versions. A combination of these setups is also possible, to ensure you are provided with maximum security. The substantial construction of this door features, heavy duty hinge bolts and weld-on hinges, Security / retaining Z-plates and clapping lath (which was designed to prevent the passage of radioactive rays, let alone any intruder). A heavy duty overhead door closer, compatible with all locking options described, and insulation can be fitted to the door. There is also the capacity to add an armoured glass window/vision panel, louvered panel, or door viewer, and both primed and powder coated finishes are available.